We love Ocean Shores and will be there in August doing what we love – Aura Photos and Chakra Imaging. Admission to the festival is free – donations welcome. I’m presenting a “Playshop” on Saturday at 4 PM on Playing with your Human Energy System. Join me as I demonstrate “playercises” that energize and balance your Human Energy System – your Aura and Chakras. Learn these easy and fun methods from my books you can use anywhere, anytime. I will have copies of my latest book, Chakra Mastery: 7 Keys to Discover Your Inner Wisdom with me, so stop by and receive an autographed copy. Psychics, Mediums, Massage, Reiki, Sound Healing and, of course, Aura photos and Chakra Imaging. All readings $20 for 20 minutes. Join us at NW Psychic Spirit and Alternative Health Fairs tomorrow. It’s Lori’s birthday! Lori, the founder of the NW Psychic Spirit and Alternative Health Fairs, is celebrating 87 years of her Earthwalk. Please stop by and meet the very talented and “in tune” readers. 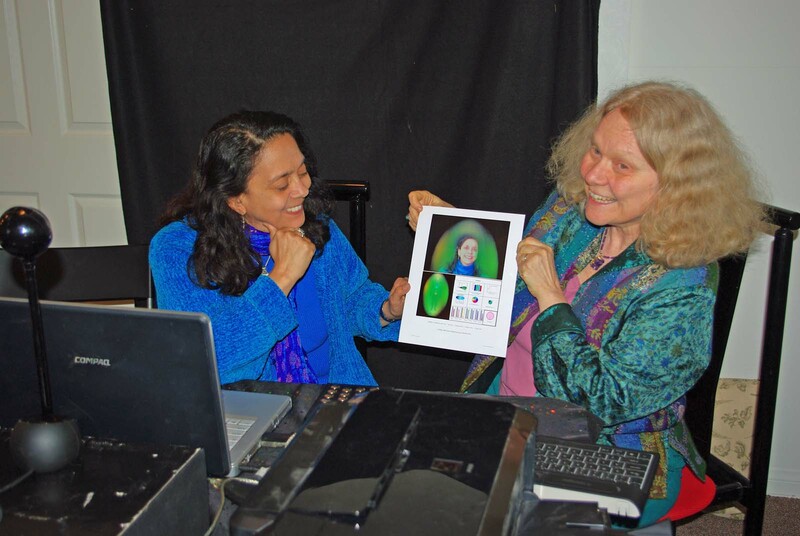 Talk to us about doing a special before and after aura photo and chakra imaging. 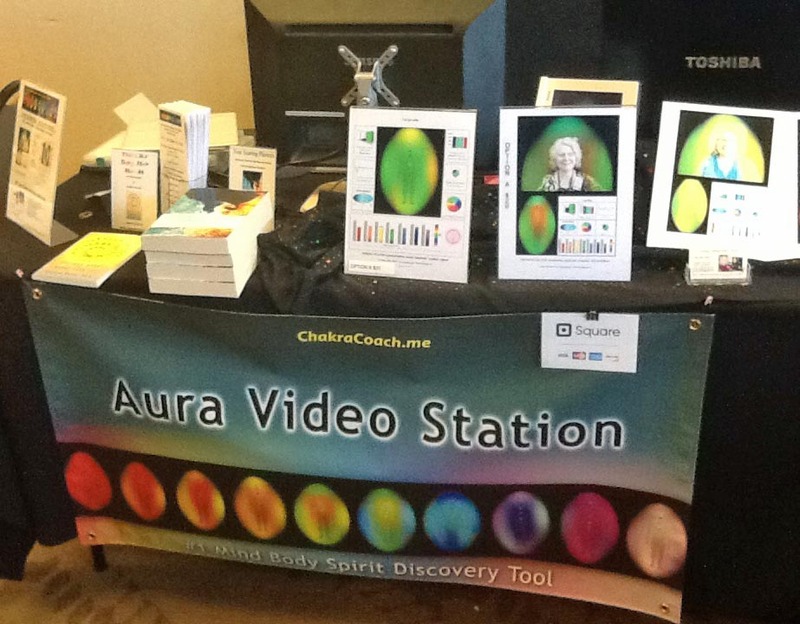 We are appearing March 6th and March 8th at the Galactic Wisdom Conference in Gig Harbor WA with our Aura Video Station. Ted Mahr is hosting this non-profit UFO and psychic conference with some of the world’s most famous and interesting UFO and psychic people at the Inn at Gig Harbor in Gig Harbor, Washington from March 6th to 8th, 2015. I’ve printed his letter below that best details this awesome event. (5) Phoenix Redhawk, a wonderful and nationally well known spiritual healer from Long Island, New York, who will also be flying in for the conference. The conference is called the “Galactic Wisdom Conference” and it will be held at the Inn at Gig Harbor at 3211 – 56th Street, N.W., Gig Harbor, Washington 98335, telephone: 253-858-1111. (6) Finally, people will be able to have a private showing of the academy award winning movie, “The Invocation” on Sunday night, March 8th. Famous Hollywood film producer Emmanuel Itier has graciously agreed to a free, private showing of his movie, which is considered the world’s most spiritual film! Also, from 5 pm to 7 pm that day, there will be FREE food. In addition, from 2 pm to 4 pm on that Friday (March 6th), I will be broadcasting my “Out of this World” Radio show from the ballroom at the Inn at Gig Harbor, and will then open the conference at 5 pm. People are welcome to come to the Inn at Gig Harbor to be part of the live audience. My “Out of this World Radio” show broadcasts from Seattle on KKNW 1150 Am on Friday afternoons from 2 pm to 4 pm. It is a psychic and UFO show, and it one of the most popular talk shows in Seattle. It is also the fastest growing UFO and psychic radio program in the world with listeners in over 60 countries! Also, if people would like to volunteer to help with the conference by doing simple things like providing transportation for the speakers, or perhaps providing a free room or a bed for the speakers, or help with people registering for the conference, they will get admission to the entire three day event for free. The purpose of the Galactic Wisdom Conference (and my “Out of this World” radio show) is to raise consciousness to make this world a better and happier place. The event is dedicated to the late Dr. Masuro Emoto (the world’s most famous water scientist and one of the world’s most spiritual men, and author of the New York Times’ best selling book, Messages from Water. The conference is designed not only to put people in touch with the other side, but also to give them the opportunity to contact UFOs and Extraterrestrials. People will also be able to meet some of the world’s most famous spiritual healers for FREE healing sessions for any health problem or disease, all free of charge for the first day of the conference on Friday, March 6th, from 7 pm to 10 pm. It’s a nonprofit conference, and the event is dedicated to the late Dr. Masuro Emoto (the world’s most famous water scientist and one of the world’s most spiritual men, and author of the New York Times’ best selling book, Messages from Water), who unfortunately passed away in October 2014. Joining me to give the opening speech at the conference on Friday night (March 6th) will be Echan Deravy, who lives in the Japan, who is also flying in for the conference… He was on my show recently; he is one of the world’s best remote viewers and I consider him one of the world’s most fascinating people!! The first day of the conference on Friday, March 6th is free, and the cost for the other two days on Saturday and Sunday (March 7th and 8th) is $197, with a daily rate of just $97 a day, which includes all free workshops and healing sessions. Students and low income get a 50 percent discount. I hope you can do a story on my conference, and you are also very welcome to attend (for free) — Thank you so much for your interest and support! No matter what you call it, energy is energy and it is the “stuff” of the Universe. Energy is neither good nor bad—it just “is.” Energy only realizes its potential when in motion. “Nothing rests; everything moves; everything vibrates.” – Third Law of Hermetic Wisdom. The Law of Vibration is an ancient concept that forms the basis for many contemporary scientific observations and theories. Everything that exists in the universe has its own natural frequency of vibration. Light, heat, magnetism, and electricity all exist because of vibration. According to John W. Keely’s first law of Sympathetic Vibratory Physics, published in 1893, vibration is the beginning of all matter. The frequency of the vibration determines its form—the lower the frequency, the more physically dense the form. A form that is more refined and subtle has a higher or faster vibratory rate. If you change the frequency of the vibration, you will alter the form. Thoughts are powerful. Created by conscious, cognitive processes, your thoughts focus this life force energy. Each thought carries a form. Whatever you think, you transmit that vibratory frequency. If you want to create positive energy, then what thoughts do you think? 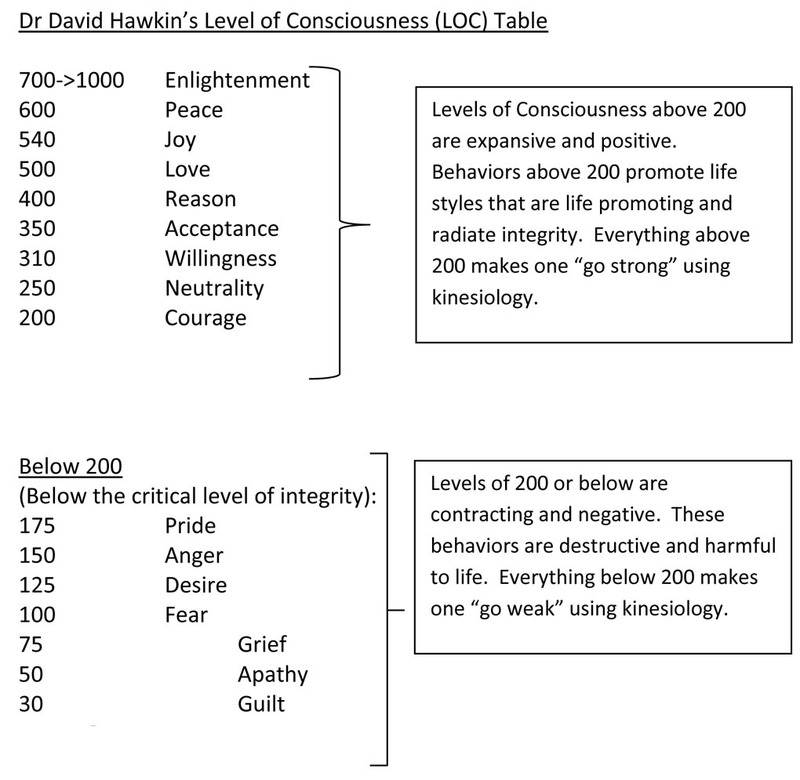 Dr. David R. Hawkins, MD, PhD developed a “map” of the levels of human consciousness (also called the Scale of Consciousness) that uses a muscle-testing technique called Applied Kinesiology (AK). Muscle testing uses your body’s muscles to give a “true/false” reading. In AK, a muscle that tests strong equals a “true” reading whereas a muscle that tests weak indicates a “false.” AK presupposes that your body intrinsically “knows” what is beneficial for you as well as harmful. Through calibration with AK, you can figure out what is “good” and “true” for your well-being as well as what can be detrimental (false) for you. In his doctoral dissertation, Dr. Hawkins researched and documented the nonlinear, spiritual realm. His dissertation, titled “Qualitative and Quantitative Analysis and Calibrations of the Level of Human Consciousness,” is an elaborate discussion of the Scale of Consciousness and its significance. He outlines his scientifically validated work in his groundbreaking book, Power vs. Force: The Anatomy of Consciousness (Veritas Publishing, 1995). Each level of consciousness (LOC) coincides with definable human behaviors and perceptions about life and God/Spirit. Each level represents a corresponding attractor field of varying strength that exists beyond the three-dimensional reality. Dr. Hawkins determined that each LOC has a critical point to which its defined field entrains. The numbers on Dr. Hawkins’ scale represent calibrations of measurable vibratory frequencies of the levels of human consciousness and its corresponding level of reality. By testing the participants using AK, Dr. Hawkins determined that all tested weak when exposed to the behaviors list below 200. To varying degrees, all participants tested strong to those behaviors calibrated about 200. If you want to create positive energy, then align your thoughts and actions with those behaviors above 200. It takes courage to step out of you comfort zone and commit random acts of kindness. You need to have a non-judgmental, neutral mindset plus a willingness to accept the other for who they are. 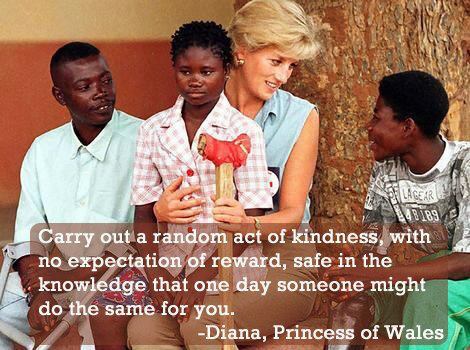 Want to practice random acts of kindness? You can use your thoughts to radiate kindness to others without physically doing something for the other. Just by broadcasting positive thoughts, you can perhaps make someone’s present moment more joyful. Create energy packets of Good Vibrations—and send them to a random individual. 1. Look at the person with positive neutrality. Quickly, find one feature about this person that you like or find agreeable. This can be anything from a pleasing smile to an attractive pair of glasses. It can be a physical feature or part of their attire. No matter how insignificant, discover one aspect of the individual that is positive in your world. If finding a positive attribute is a challenge, then move on to another person. 2. When you found that one thing, use your words to create a well-formed, positive thought about the person. “She has a friendly smile.” “What a great pair of glasses!” Phrase this thought as if you were delivering a sincere complement. 3. As you look at that person, think your well-formed positive thought. Staring isn’t appropriate. A glance will suffice. 4. Keep thinking that thought. Acknowledge that person with a smile. There – your packet of Good Vibrations just delivered a random act of kindness. 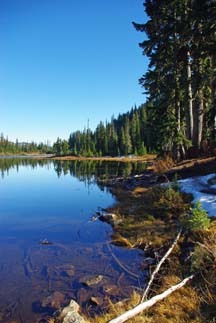 Find 15 minutes of a quiet, uninterrupted space and time. Set a timer for 15 minutes. You might want to make available a way to record your experiences at the end of the exercise, such as a pad and pencil or audio recorder. Once in your space, close your eyes. This automatically places you in a relaxing, alpha state of brain waves. Take several deep relaxing “belly” breaths. Starting with the root Chakra, dialogue with this Chakra – ask it to tell you in a minute or less, what it needs from you. Pay attention and be neutral – tell yourself that you will remember its words. Keep an open mind if the Chakra tells you something that doesn’t match your expectations of this Chakra. After the Root Chakra has told you what it needs, thank it, tell it that you love it and appreciate it as part of your energy system. Dialogue with each Chakra in the following order – Sacral/Solar Plexus/Heart/Throat/3rd Eye/ Crown and repeat the process of asking, paying attention, and expressing gratitude. When finished with this process, place one hand under your tailbone and the other on top of your head. It doesn’t matter which hand goes where – do whatever seems comfortable. Imagine there is a figure “8” (infinity sign ∞) that is forming between your two hands. Notice what you notice – thank your Chakras for working together to balance your body, mind, and spirit. When it seems right, remove your hand from this position and enjoy the quiet until your timer goes off. Take a few extra minutes to record your experiences. Repeat the Check In with Your Chakras exercise frequently. 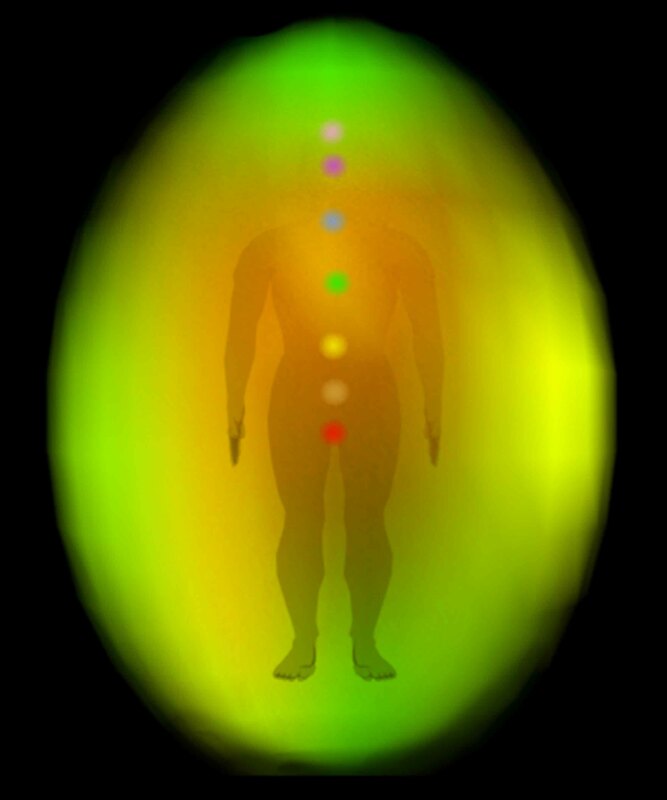 Your seven major Chakras are your team, playing together in your game of life. Get to know your team members and what each needs to optimize their performance. I responded with the following suggestions and offered the “Check In with Your Chakras” exercise. First, have you consulted with your health care practitioner about your headaches? Chronic headaches can manifest from many factors – from unresolved stress to physical problems. Find a holistic health practitioner who can go over your health history. Second, what leads you to conclude that the solar plexus is the source of your health issues? The human energy system is a complex and interdependent system – sometimes challenges in one area arise from either blockages or excess of energy in another area. For example, the energy of the Solar Plexus, your sense of self – worth, isn’t being communicated through the Throat Chakra. Perhaps Root Chakra issues challenge you, such as a feeling of not belonging or instability of home/work that could lead to not expressing your personal power. The Solar Plexus is all about relationship with your self – i.e. owning your personal power. I like to think of all the Chakras working together as a team. Each team member (Chakra) has a position to play. Each one needs to function at its optimum performance level for the team to be successful. If one member isn’t on their game, the other teammates have to pick up the slack. In this circumstance, the other mates are challenged to play their position as well as cover for their mate. In doing so, the teammates might make errors in judgment. They may over compensate or burn out. To an observer, the team’s misfiring’s may seem to emanate from every other player except the member that originally was off his/her game. It can be this way with your Chakras – you may think one of the “players” is problematic yet your challenges may arise from the original player that was off their game. Are all of your seven major Chakras functioning as a “team?” Is each team member functioning at his or her optimal performance level? On a regular basis, you need to check in with all seven of your Chakras. Gerry shares his direct experience with kidney stones, a physical condition that can be very painful. There is no such thing as a sudden onset of a kidney stone – the stone is the result of an imbalance in food consumed over a period of time. The definition of visualization according to Web Definitions is a “visual image: a mental image that is similar to a visual perception”. Visualization requires the use of imagination. You can visualize an image that is either stationary or moving. The brightness, color, and clarity of the image add to the effectiveness of the visualization. Charging it with positive emotional energy makes the image really come alive. This can be accomplished by envisioning white light descending from the universe and filling the image with positive emotional energy. The summer of 1988 was hot, dry and sunny. I have always enjoyed this type of weather and the amount of Vitamin D I absorbed while basking in the sun’s warmth. Hot summers are also a time for deliciously cold ice cream and soda pop, which I consumed, in copious amounts. As the season wore on I experienced twinges of pain in my abdomen. After several weeks these pains became more intense. In early August I visited my doctor to check out this pain. I was diagnosed with a kidney stone the size of a large marble. My doctor installed a tube in my urinary track to hold the stone in place. The general plan was that I would undergo a lithotripsy procedure. This treatment uses intense vibrations to breakup the stone into pieces so small that they would pass naturally. The plan of action seemed like a good one except for one problem – I would have wait in line to receive this treatment as there were many other people on the waiting list before me. After the tube was installed the stone did not bother me excessively. I was scheduled for the lithotripsy treatment in early January of the following year. I decided to be proactive and use energetic visualization to reduce the size of the stone. Problems such as kidney stones are actually blessings in disguise because they warn you of serious imbalance in your system. In my case the imbalance was caused by my diet, namely the ice cream and soda pop. I abstained from both for the remainder of the summer. I meditated on an image of how I “saw” the stone. I visualized a tan colored lump of sandstone about the size of my thumb. Turning up the brightness and contrast to make my image as clear as possible, I filled the stone full of positive white emotional energy. I meditated on this piece of sandstone, imagining grains of sand falling away from the stone. After an hour of energetic focus, the image of the stone had visibly reduced in size with a small pile of loose sand surrounding it. I finished my meditation with a request to my unconscious mind to continue peeling away grains of sand from the stone. Then I put the stone out of my mind and carried on with my life. Each time I became aware of my condition, I imagined the stone shrinking and became smaller in size. That evening I experienced the worst pain of my life. I needed to urinate but my urinary track was somehow plugged. After what seemed like an eternity (about 1 hour) I felt something let go and start moving inside me. I urinated into a cup and finally I passed a small black colored stone less than 1/8” in diameter. I was relieved to say the least! I took the stone to my next appointment and showed the doctor what had been inside my kidney. He examined the stone, which was too small to appear on the x-ray. He said this type of stone was actually so hard that the lithotripsy treatment would have been ineffective in breaking up the stone. I certainly believe my visualization had been effective enough to reduce the stone to a manageable size. I did experience a short period of pain and discomfort. I think the pain was a reminder to watch my diet during the hot weather. Had the stone remained its original size the alternative would have been far worse, as I would have required surgery. It has been twenty-five years since that summer and I have been free of kidney stones ever since. Energetic visualization, applied in a positive manner can be a powerful aid to eliminating many diseases, both physical and emotional. If you don’t like the picture, simply replace it with one you do like! I have been using EFT for many years to help deal with many different issues in my life. Over this time I have learned that to have EFT work effectively for me, I must define both the problem and the desired outcome. I think of our unconscious mind (UM) as the collective intelligence of the billions of cell in our bodies. The prime directive of the UM is to maintain and defend the collective (our bodies). UM is responsible for all your physical experiences e.g. : UM says you are happy so it turns on the dopamine and the serotonin taps. If you twist your ankle, UM causes the area to hurt to remind you to take care of the sprain. You could think of the UM as very intelligent and stubborn five year-old and your conscious mind as its parent. UM is dedicated to maintaining the collective at all costs. It does not know or care about things like reason and logic. It leaves all that ‘stuff’ to the conscious mind, which, through discernment, deals with the outside world. The conscious mind then presents to UM only those things it considers serious. UM for its part is hard to convince because of its early experiences. During the first five years of our childhood there is no logic, no reason and minimal discernment. Throughout this period everything presented to us is accepted as absolute truth. If our parents, family, neighbors, media, or government tells us that we are bad, thoughtless, inconsiderate and worthless we absorb all without question. Fortunately, for us, loving and nurturing word are accepted in the same way. If before the age of six your UM hears hundreds of times that you are worthless, how often would you have to hear how worthy you are before your UM believes this? Therein lies the dilemma. The UM takes every thing literally and is unable to process a negative statement. If you say to a five year old “Don’t do that —-!” the child will do” that—-!” because he/she can’t process a negative. If I say ‘don’t think about a blue tree’, what is the first thing you think about? This is how UM interprets every negative statement. When you request UM to make a change to its collective you have to make absolutely clear what you wish to change. The requested change must have integrity and must be stated with conviction! The desired outcome must be stated in positive way in present tense as if the benefit of the change had already been gained. Any condition – physical, mental, emotional or spiritual – takes something extra to convince UM to respond. That is where EFT comes in. By stimulating the meridians while holding the well formed emotionally charged positive request in mind, you can overcome UM’s resistance to the desired change. Recently I was having a problem with my right knee. Once or twice a week my knee would become painful as if a strand of nerve had somehow shifted out of position. It would last a day or two then disappear. After another day or two it would happen again. While this condition existed, it severely limited my ability to walk properly. Even a vitamin B shot in that knee only provided temporary and partial relief. Then I realized I had been stating the change I desired in a negative way. I was stating what I didn’t want instead of what I did want. One day between attacks I changed my words. For the setup I said: “Even though my right knee causes me pain, I deeply and completely love and accept myself and my right knee!” Then with each tapping point I said, “my right knee is comfortable and moves freely and easily!” I performed six rounds of EFT using these or similar positive words. I then forgot about my knee completely and focused on other things. The condition never re-occurred and my knee has remained pain free for more than two years and counting. My knee problem is an example of how EFT does seem to work on everything when you make your request using the right words. Using a negative statement is an ‘away from’ whereas a positive statement is a ‘toward’. Always move toward the desired state not away from the undesired state.